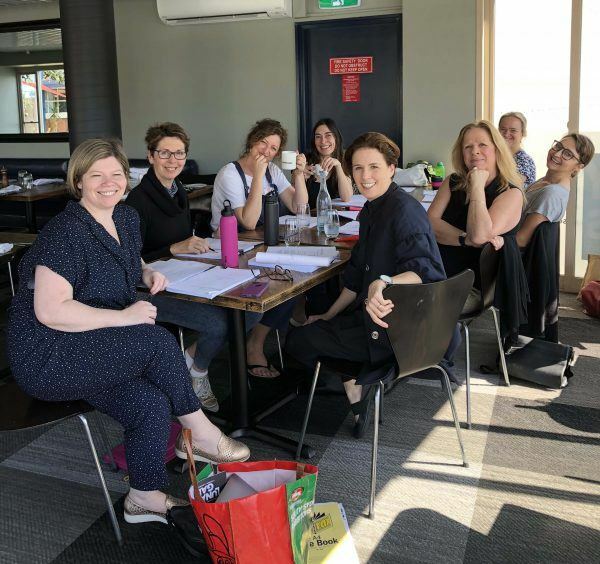 A few weeks ago, some of the amazing women from THE APPLETON LADIES’ POTATO RACE dropped by the theatre for an exciting 2-day creative development of Melanie Tait’s laugh-out-loud script. This brand new Australian comedy, which will have its world premiere at Ensemble Theatre in 2019, is a heart warming story about standing up for your principles and features a cast of five fiercely fabulous women + READ MORE. We sat down with Melanie Tait to ask a few questions about her new comedy, the writing process and what’s on the cards for the future. What sparked your inspiration for the script? I’m from a small town in NSW called Robertson that holds an annual potato race and earlier this year I discovered there was an inequity in the prize money, so I decided to fundraise. There was huge support for the effort to make things equal, but also huge backlash – this was the jumping off point for The Appleton Ladies’ Potato Race, but it’s by no means the story of what happened to me in real life. Over my career as a journalist, I’ve worked in small towns all over Australia as an ‘outsider’ in these towns. When the opportunity came to tell the story of The Appleton Ladies’ Potato Race, I realised that I had this deep well of story and affection for small town Australia, but also a willingness to explore the darker side of small town life too. Really, I’ve been writing this play my entire life, it’s only now I found the perfect story to get it to the stage. What has been the process so far in developing the play for our 2019 Season? It’s been incredibly exciting – and the team at Ensemble, and director Priscilla Jackman have shown an enormous amount of faith in this project from the time it was a simple one page pitch document. I haven’t had the chance to faff about for five years with draft after draft, we’ve had very defined deadlines, which has helped me enormously with my background in journalism. It’s been nearly 18 years since I wrote my first (and only play) and now I realise all I needed to get another one finished is a good, clear deadline! We’ve also been fortunate enough to have two creative developments – one that’s just happened and one coming up in a few weeks. This has been incredible – getting into a room with experienced theatre actors who care deeply and are constantly provoking me to dig deeper with these characters has been a gift. What has been the best thing about the creative development for you? A couple of things. There’s a character I’ve been really challenged by, and through some really tough work, she’s emerging more – making the play stronger for it. The second thing is that I know we’re on the way to creating a really special play. What are the next steps for you, as the playwright, before we see the play next March? Oh gosh – so much work! There are still at least three drafts before we get to rehearsal. Lots of rewriting. Lots of thinking. Lots of walks on the beach without headphones mulling over things I can do to get it better, tighter, funnier and punchier by the time it gets to opening night. I want the audience to love and understand these women and their feisty dramas as much as I do, so I’ll be working pretty hard to help that happen.